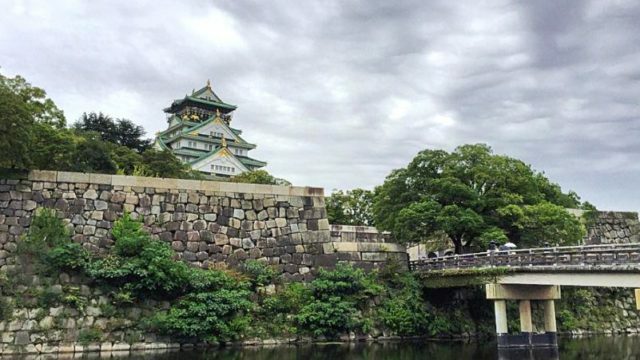 8 Best Things To Do in Nagoya – Travel to Japan’s 4th Largest City! Nagoya is known to be Japan’s fourth largest city by population. The city name was probably originated to the Japanese word “nagoyaka” which means peaceful. True to its name, Nagoya is indeed a peaceful city to live in as justified by the local residents in the area. Some would say it’s a boring place to step into but surprise yourself as you get to explore the best attractions that you can find in there! 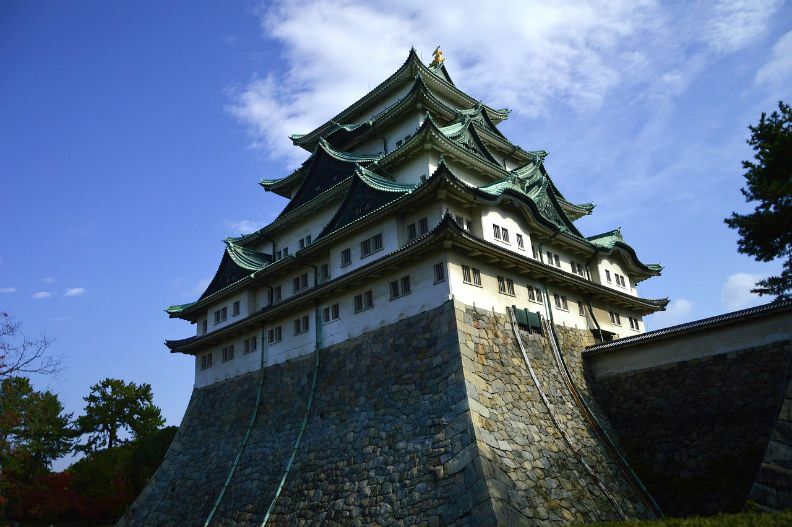 You may refer to the lists below of the best things that you can do in Nagoya! This place is called “Atsuta san”. Originally founded about 1900 years ago. One of the Imperial symbols, Kusanagino Mitsurugi was enshrined. 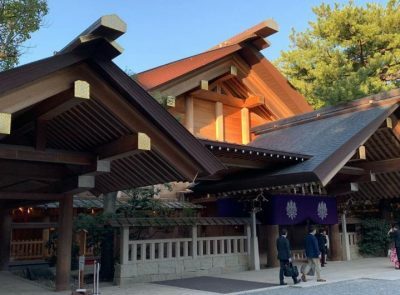 Atsuta Jingu has been specially revered by people, ranking second only to the Grand Shrines of Ise. 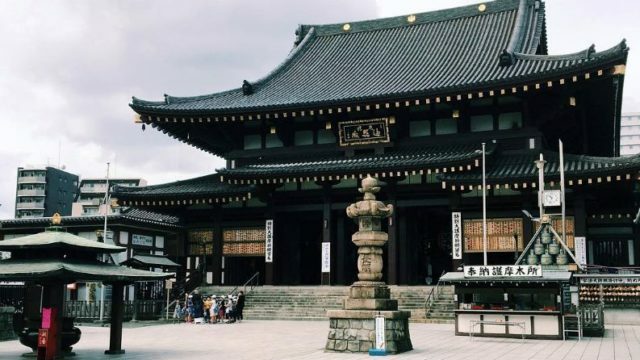 Atsuta Jingu Shrine has huge spacious place, enshrines Five Great Gods of Atsuta, all of whom are related to mythologically connected with the sacred sword. Owari (this area)’s kami, natives of Nagoya dnd its districts deities are said to have shown divine virtues in accordance with the teaching of Materasu Okami. The whole site is something spiritual and you’ll feel something special when you go into inside. You may find Miya Kishimen noodle shop where you can enjoy flat noodle with Japanese soup. Yummy! As a souvenir, you can purchase Kiyome-mochi, kinda Japanese sweet with beans jam. With this sweet, you’ll be purified. The Toyota Commemorative Museum of Industry & Technology is housed in the original red brick buildings of the Toyoda (the forerunner of present-day Toyota Corp) textile factory and research center. It is divided in two parts in separate buildings: the Textile Machinery Pavilion and the Automobile Pavilion. Initially I was surprised that the origins of Toyota was from textile production. The Textile Machinery Pavilion begins with the history of spinning various types of fiber throughout the world including hemp, cotton, flax, wool, ramie, nylon and silk. There are numerous displays, exhibits and demos which provide an interesting & comprehensive history of spinning variations. The Auto Pavilion is all about car production which includes the history of Toyota models, and production line. Similar to the Textile Pavillion, there are excellent, interesting displays and demos. It’s easy to spend a morning or afternoon exploring both pavilions. The castle is a typical example of Japanese architecture structure called shoin zukuri. The palace originally was built in 1615, the Lord of Owari Province. Screen paintings are made by skillful artisans. Aroma is so good to see all wooden traditional typical Japanese structure. 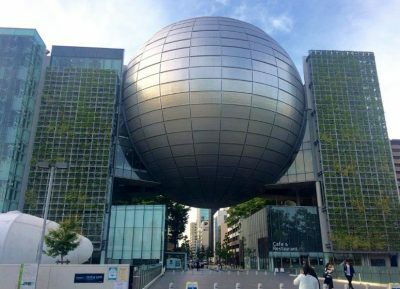 This is an impressive building in Nagoya and one of the must see sites. It was being renovated when we visited but tourists could visit the adjacent reconstructed palace. Walking around the castle you could get its overall size and appreciate how substantial the moat and building was in its day. The quality of the palace rebuild is truly first class especially with the woodworking skills required to replicate the old destroyed building. The finish inside is also amazing. The museum is very nice because most of the attractions are interactive! It´s very good for children and adults as well. The entry fee for the museum is 400 yen, you pay an extra 400 yen to get a ticket for the planetarium show. There was an additional 1000 yen fee to see the special exhibitions, too. All the displays were in Japanese but it was still really enjoyable. There was a lots of hands on exhibit and even a tornado simulator to watch. The exhibitions were very child- friendly and it was a joy to see so many Japanese children enjoying the museum, they’re so polite! Scenic night view of this specially designed building with its lighting effect in Nagoya. This Oasis 21 is spectacular towards the night time as it changes colours from its lightings effect. 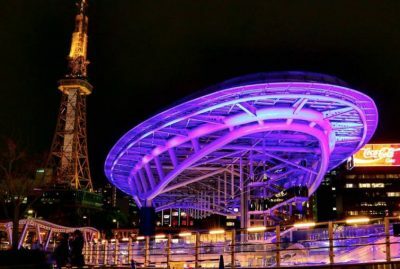 Climbing up the top floor, you can view the night views of its surrounding especially a good view of the Nagoya TV tower. Underground of this building are some shops and diners as well as the access point to the station. One of the marvels of Japanese gardening in Aichi prefecture Japan. 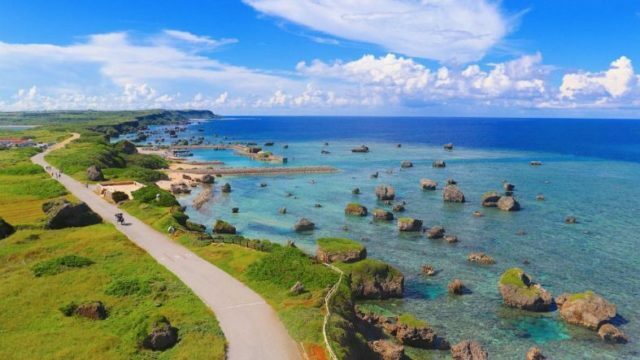 You can enjoy beautiful scenery drinking your green tea, coffee or having lunch in a nice restaurant with big windows and open spaces and he entrance fee is ¥300. The information signs are in Japanese and English so everyone can understand. I recommend you to listen to the “water harp” as they call it, it is very interesting. Basically, water drips down into a jar, which is burried underneath the earth and that makes sound like japanese instrument called “koto”. It can be easily reached from Atsuta Jingu shrine (roughly 20 minutes walk, no problem), or Rokuban-cho station. In my case, I walked from Hibino and it was really a pleasant walk. A must visit during the cherry blossom period. There are steps from certain stretch of the river which allows you to go down to the river stream banks. 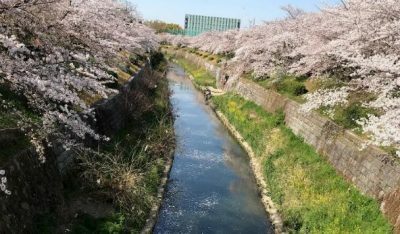 The calm river with beautiful cherry blossoms trees just simply awesome. Go there during morning and have a bento to enjoy this scenic view. You won’t get any better places as both sides (of the river) were balanced with great scenery plus if you are a photographer, you’ll be tempted to stop by at the bridge (that connect two sides) to take the beautiful shots that cover two sides of the river. The river was really clean and there was a path to allow you walk down to explore the river and the view from the bottom was also scintillating. Higashiyama zoo & botanical garden was about 20 minute subway ride from Nagoya station. There are three parts to this park; zoo, botanical garden and the amusement park. We spent most of our time in the zoo (about 4 and a half hours). The zoo had every single animal you can think of. The enclosures seemed a little unsafe and people could get a little too close if they wanted to. The main attraction is the “handsome gorilla” Shabani. There are so many lovely and active animals in the zoo that you can spend a day there with choices of food stalls and food trucks with good food like ice pineapple lollipop and tasty sausage. Even the ice cream cone from the machine is exceptionally good. The location is convenient and the price is cheap. There is even an air con room for visitors to rest if feeling tired and hot. This is suitable not just for kids but all age.